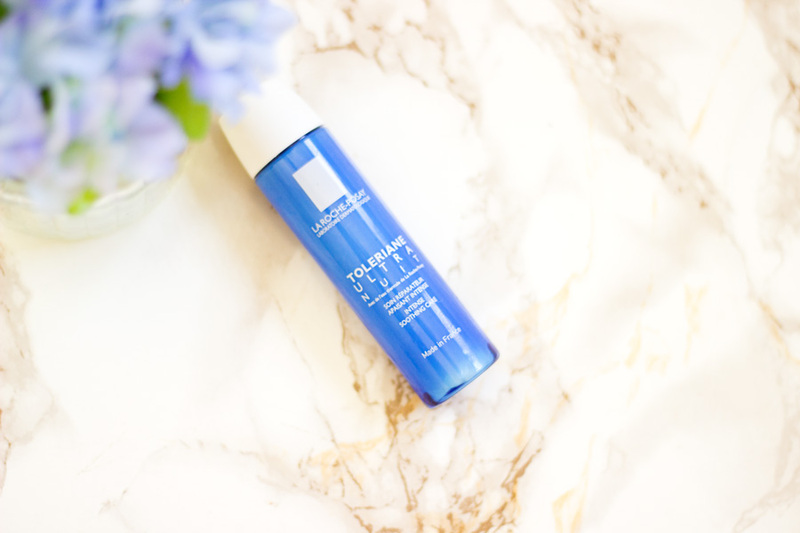 I am pretty sure I have featured the La Roche Posay Toleriane range more than a few times on this blog but I thought it deserved its own review. 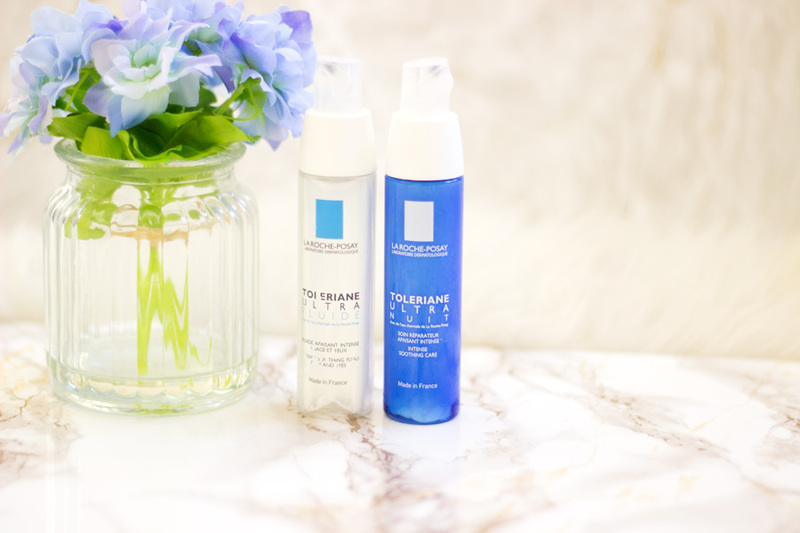 I am not new to the Toleriane range as I got a chance to try out the Toleriane Ultra Fluide last year and I loved it for its soothing properties. 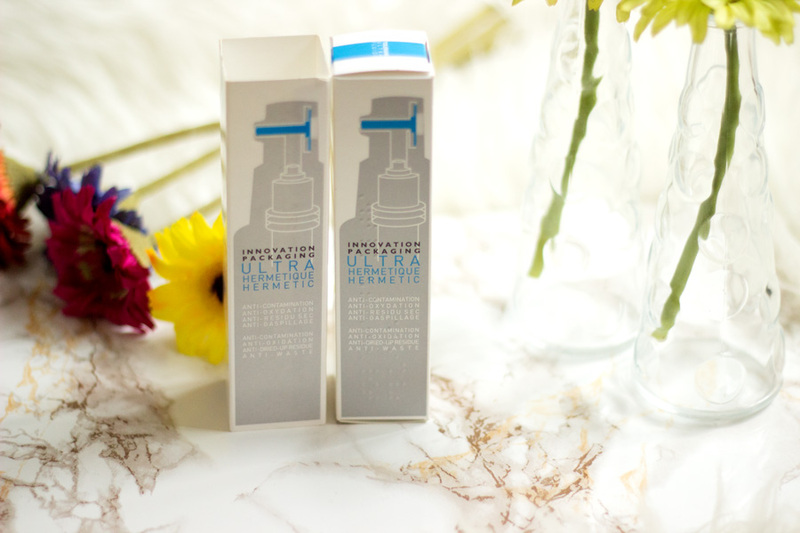 Earlier this year, La Roche Posay launched the Ultra Nuit Overnight Skincare and I was so delighted to try it out. 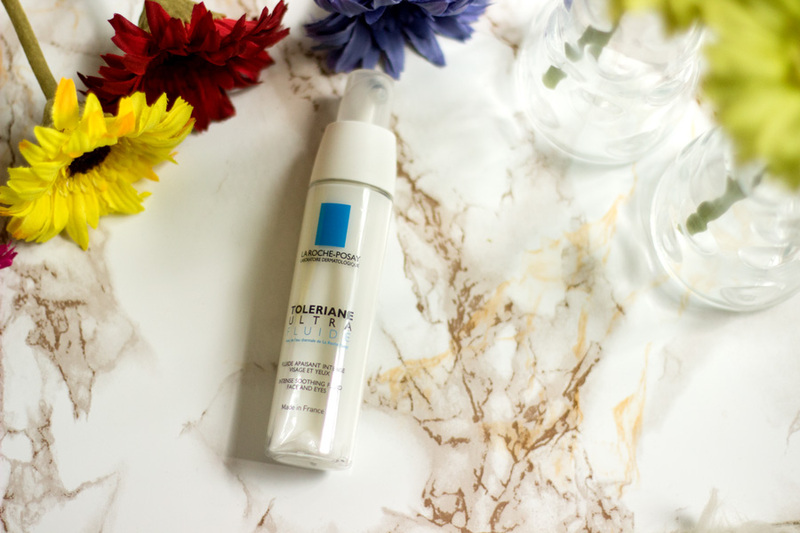 I am already a huge fan of La Roche Posay products particularly the Effaclar Range but the Toleriane range is definitely my next favourite. 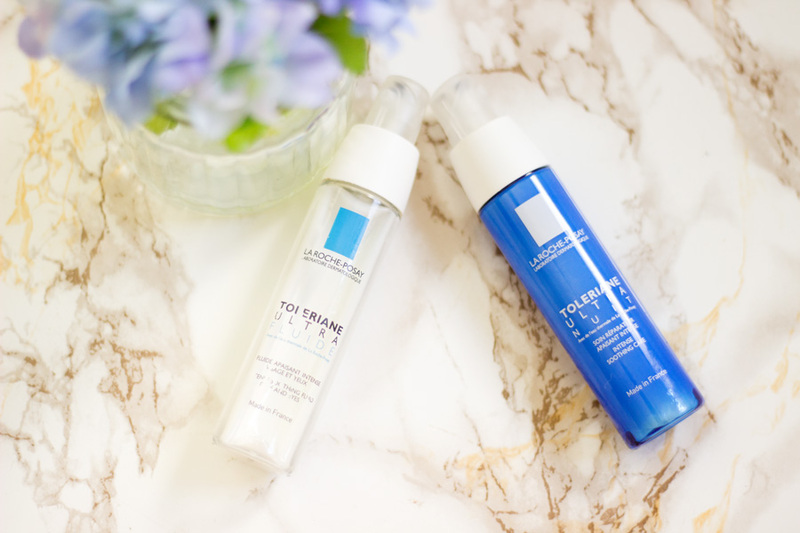 The Toleriane range is one of the best selling ranges from La Roche Posay mainly because it can be used by various skin types. The range contains high tolerance products formulated with the least amount of ingredients to limit the risk of allergies. One of the properties of this range -which totally endears it to my heart- is its promise to deliver instant and lasting comfort. The products within the range are all fragrance-, preservative-, parabens-, lanolin- and alcohol-free with an aim to sooth damaged and irritated skin. If you have the type of skin that is intolerant to fragrance, alcohol, preservatives and other funny ingredients, this is one range that's worth trying. Also, if you have recently suffered from irritation, sun damage, allergies or any bad reaction to the skin and you are after a range that won't interfere but will soothe your skin, this is one range to look out for. I personally use this range after I have used AHAs, Retinol based treatments or Acne treatments which sometimes may irritate the skin while caryying out their work. The Toleriane range makes the whole process bearable without interfering with the efficacy of the above treatments. One of the things I was curious about was how the products will maintain their stability since they are preservative-free. I am sure everyone knows this but preservatives are usually added to beauty products to preserve their shelf life. If preservatives are not added to a product (let's assume they are self-preserving), then their life span/shelf life is pretty short (it could range from 1-3 months or maybe more). So, I was curious to know how La Roche Posay have managed to cross this hurdle seeing that the expiry dates were more than two years. The answer lies in the innovative packaging. 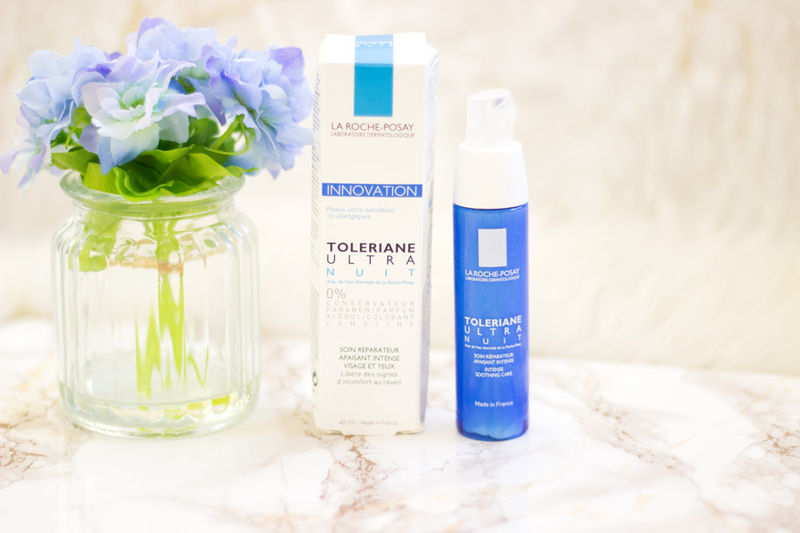 I am not sure about the design of the other Toleriane products packaging but the Ultra Fluide and Ultra Nuit have a unique one. They both come in slim bottles which cannot be opened as they are securely fitted to prevent the entry of germs and any cross contamination. The lid also cannot be screwed on and off rather it can be twisted left or right to lock/unlock it and pressed down to dispense the product. I love that the nozzle is also very tiny to prevent any unwarranted entry and to prevent wastage. Most importantly, the product in itself is stored stored in an air tight bag inside the bottle which gets smaller as you use up the product. The technology behind this is an ultra-hermetic one. Each of the bottles contains 40 ml of product which is a decent amount. I think this packaging is incredible and that's exactly how La Roche Posay have managed to keep this product preservative free so intolerant skins can use it. It's very impressive I have to say!! I always reach for this during summer because it has a lovely hydrating and soothing effect on my skin. 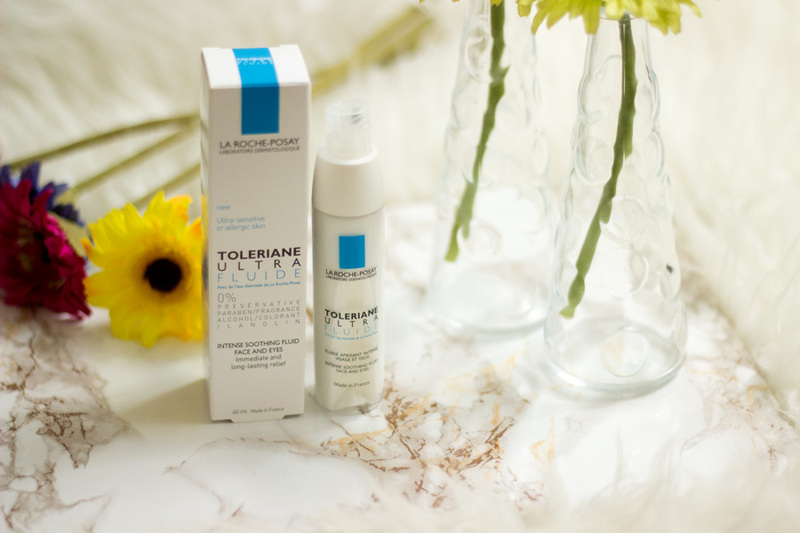 La Roche Posay describes the Toleriane Ultra Fluide as an intense soothing fluid that is designed for ultra-sensitive or allergic skin. It is also suitable for combination to oily skin and I guess that's why I have gotten so well with it particularly during summer. It's a lightweight formula that provides adequate hydration while getting easily absorbed without a greasy feeling. 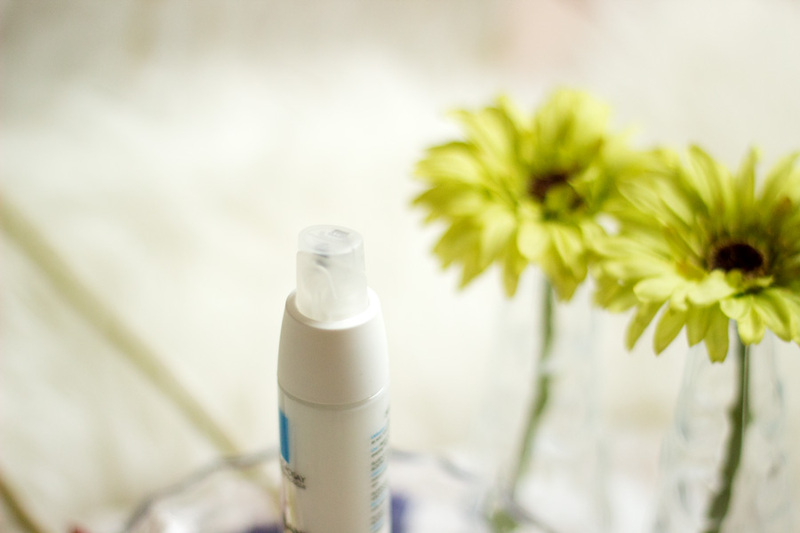 The best part for me about the Toleriane Ultra Fluide is that it can also be used for the eye as an eye cream. For a good while I never tried it as an eye cream but I once ran out of my favourite eye cream and was in a fix so I decided to give it a try. That try turned out to be many tries and right now, it is my current eye cream. It works as well as many of my eye creams because it is a hydrating formula that just soothes the under eye area. I have now been taking this with me on short trips because it can be used both for my face and my eyes and multi functional products are winners in my book. 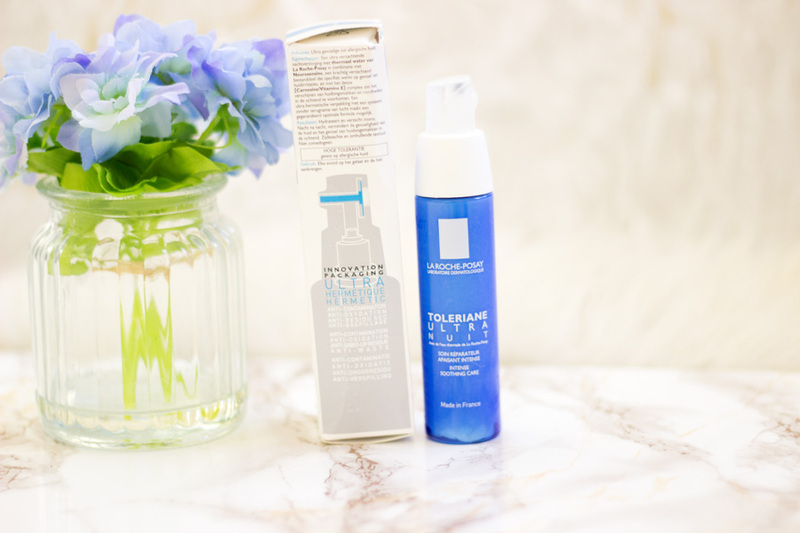 You can find the ingredient list here but the two ingredients that stand out are Neurosensine (a strong soothing agent that targets skin irritation) and the La Roche Posay Thermal Spring Water (naturally soothing, refreshing and anti-irritation). 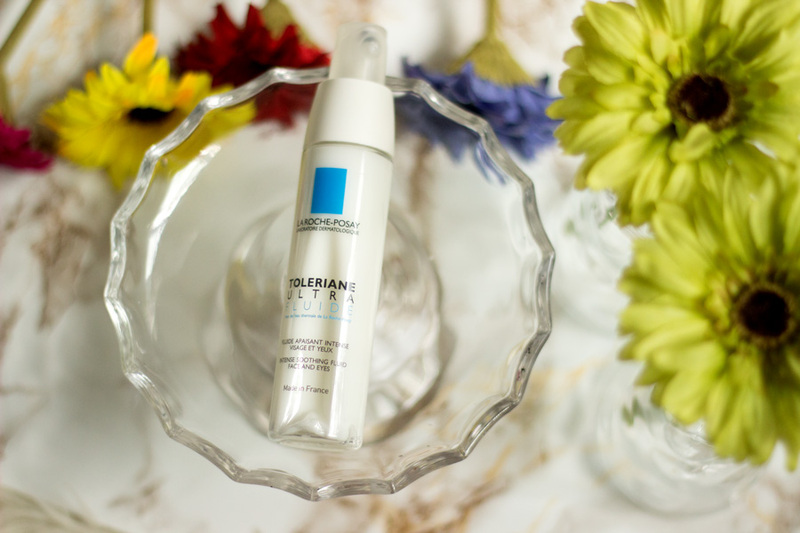 I am a huge fan of the Toleriane Ultra Fluide and I will be repurchasing once I run out (and Escentual bring back their 1/3rd off French Skincare brands). As already mentioned, this was launched earlier this year and I was really pleased to try this product particularly after enjoying the Toleriane Ultra Fluide. 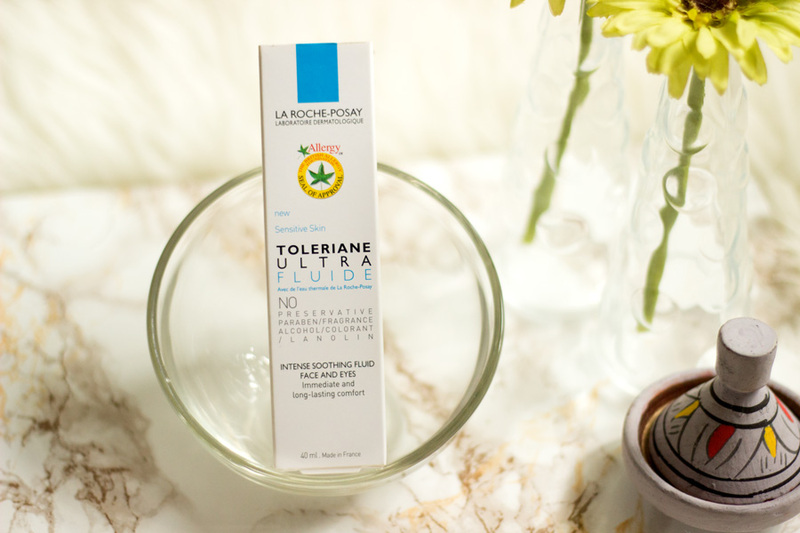 La Roche Posay describes the Toleriane Ultra Nuit as an intense soothing care for the eyes and face designed to soothe the feeling of irritation due to dryness when you wake up. I don't really suffer from dryness when I wake up because I always give my skin a good treat every night. 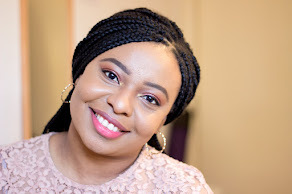 However, there are some few nights that I use mainly my Acne treatment products which can cause dryness and in the mornings I experience dryness. So, I was interested in putting this to the test to see how it worked to combat this dryness. 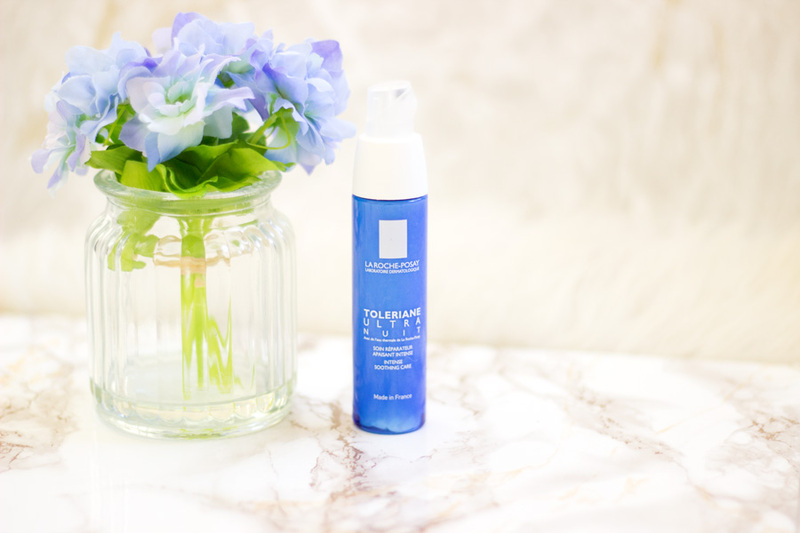 Just like the Ultra Fluide, the Toleriane Ultra Nuit has a smooth texture but it feels silkier. It also feels more hydrating and moisturising as well which is expected from a night cream and I love it for that. It is made from minimal ingredients and it is also free from parabens, lanolin, fragrance, alcohol and colourants. This is absolutely perfect for anyone who has sensitive skin. I personally use it immediately after I have used my usual chemical exfoliants such as glycolic acid, retinol and even salicylic acid. It just has a way of soothing my skin and preventing any sensitivity from these products. Sometimes, I have just used it alone on my skin when I was breaking out and although it does not have any acne blasting powers, it still helps my skin. It is enriched with Niacinamide, Vitamin A, Carnosine, etc which help the skin repair itself among other skin benefits. I think the only the con I can think of right now is that you can't easily see how much product is left in the Ultra Nuit compared to the Ultra Fluide. For this reason, I do prefer the Ultra Fluide packaging because it is a transparent bottle so you can see when you are getting to the end of the bottle. I know it is not a big issue. However, I usually hold it up against any light source which makes it easier to see. That's my little tip. I am very pleased I got a chance to try this range as I would never have tried it because I don't have sensitive skin. I always go for the Effaclar range which is amazing for blemish prone skin. However, I forget that my skin could sometimes get quite irritated from the acne itself and other treatments and using soothing and calming products are essential. I am very impressed with the range and will definitely recommend it. That's it from me and I hope you had an amazing weekend. See you in my next post. 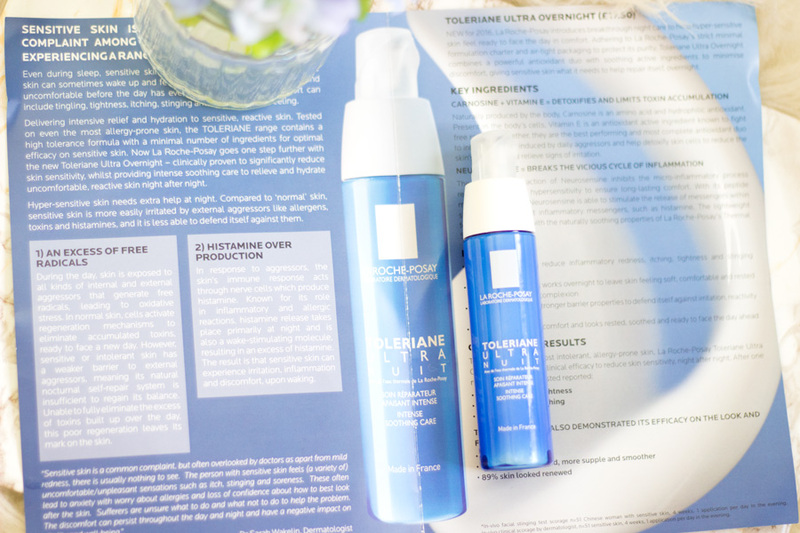 Have you tried the La Roche Posay Toleriane Range?